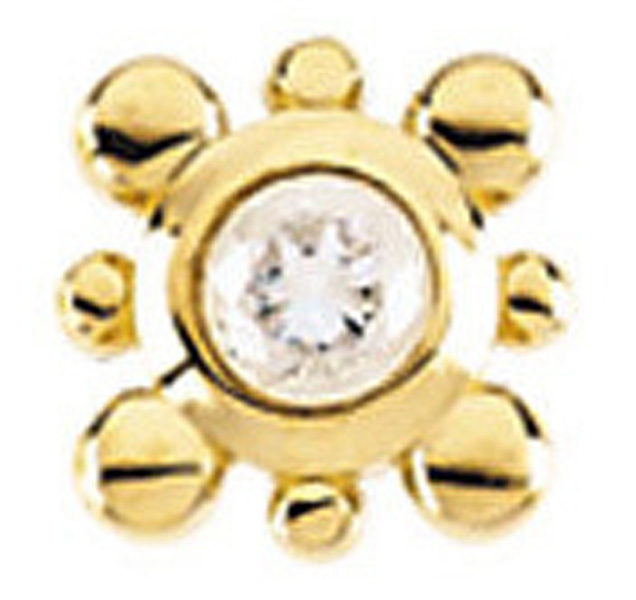 This setting has a 2.0 mm stone set in the center of gold dots. Overall size is 5.5 mm. Available in 14k white or yellow gold.